We’re well into April currently, so it’s finally time for Spring cleaning and those long put off household projects. Whether renovating a bathroom, planting flowers in the yard, or even painting a house, The Boys have excellent experience and wisdom to share with us, even to this day! Enjoy our top picks of The Boys in action! 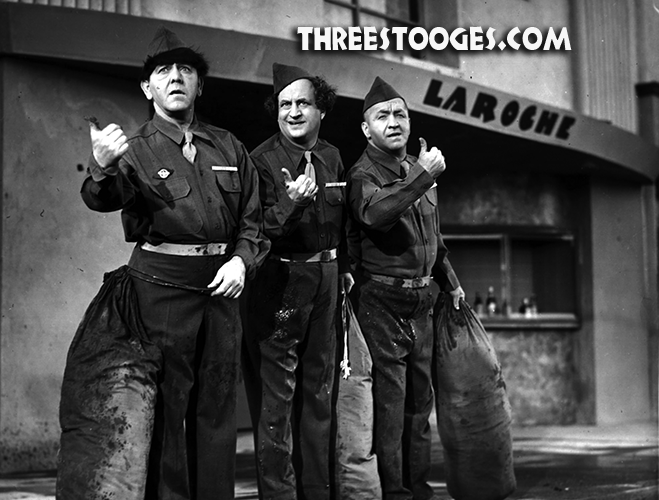 Take note of the handy home improvement tips from Larry, Moe, and Curly (and Shemp), and get all your projects done poifectly! 5. Rip, Sew, and Stitch – Once you’ve handled all the beautification around the house, you’ll still have time for ironing. Now, go forth and Spring clean! Shemp’s birthday was listed as either March 4th or the 17th, depending on the source. The confusion came from an error made on his death certificate. The confusion was cleared up when Jill Howard, Shemp’s Granddaughter, located Shemp’s actual birth certificate and the date is actually March 11th. The third of five brothers, Shemp was a mischievous kid who loved to play hooky. 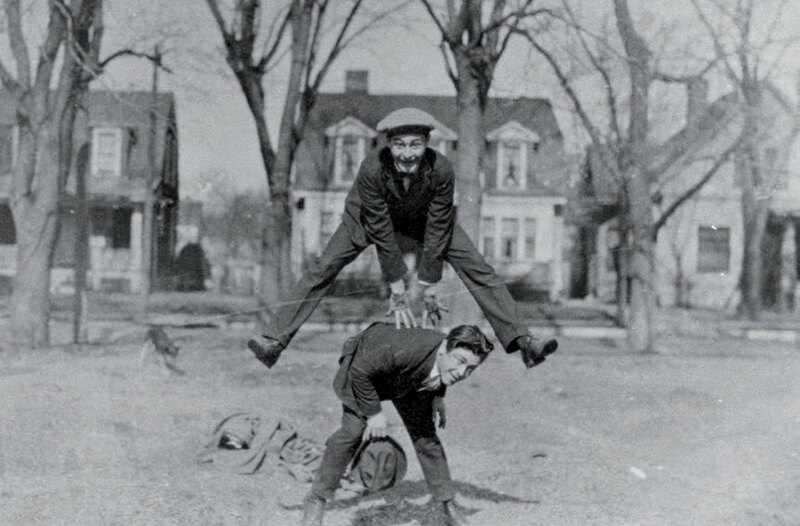 As an early hobby, young Shemp loved to clog up toilets, stuffing anything and everything down them to get the desired “clogged-up” effect, much to his parents’ (and probably brothers’) consternation. Once, at a family picnic, Shemp took a bowl of tomatoes and threw them at a man. The man dragged Shemp, kicking and screaming, back to his Mother, Jennie Horwitz, who proceeded to beat the angry man with her umbrella. 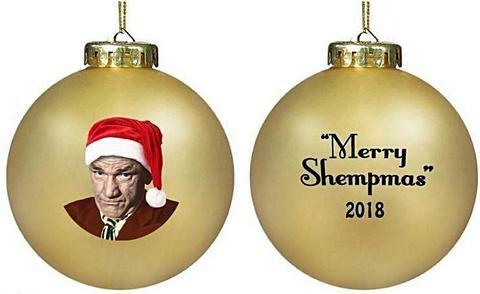 Shemp was one of the original members of The Three Stooges. In 1932 he left and signed a deal with Vitaphone and made a series of shorts, aptly named the Shemp Howard Series. He also starred in the studio’s Joe Palooka series playing the boxer’s manager Knobby Walsh. He also worked for Columbia and was under contract at the same time as The Three Stooges but he was cast in various other shorts, including the Andy Clyde series that was produced and directed by Jules White and Del Lord who made so many of The Three Stooges. Besides the various shorts series, he also had a very successful career in features and appeared in films for most of the major studios and worked with an array of other stars ranging from Abbott & Costello to Jimmy Stewart. After Curly’s debilitating stroke in 1946, Shemp returned as a member of The Three Stooges and made 73 shorts and many TV guest appearances with Larry & Moe until his passing in 1955. Yes, the story is true: He passed away in a car on his way home from attending a boxing match in Los Angeles. Shemp, Curly & Moe appeared only once together on screen in the 1947 short Hold That Lion. The first of any member of The Three Stooges to marry, he wed Gertrude Frank on March 15, 1925. He was in the first feature film, or film of any length, as a member of The Three Stooges along with Larry and Moe in the 1930 Fox film Soup To Nuts. He would not make another feature film with The Three Stooges until 1951 in the United Artist film Gold Raiders. Shemp was in the only two Three Stooges shorts shot in 3D, Spooks! and Pardon My Backfire. He was the only member of The Three Stooges to work with John Wayne. Shemp and Curly both portrayed prize fighters in a short. Yet it was Larry that had actually boxed professionally under the name of Kid Roth. Just like all The Boys, Shemp was unique in his talents and a part of the lasting legacy of The Three Stooges. We raise our glasses high (Shemp preferred a Manhattan) and say HappHee-bee-bee-bee Birthday, Shemp! With a new year comes new goals and resolutions, but also new worries and headaches. We want all of our fans to fulfill commitments to health and well-being, and we feel it should also include one of life’s greatest gifts — laughs! Social laughter triggers endorphin and serotonin release in humans. Studies have shown that couples who laugh together report having higher-quality relationships. Laughter has an anti-inflammatory effect that protects blood vessels and heart muscles from the damaging effects of cardiovascular disease. Now that you have the tools, go forth, be active, and stay laughing my friends! We are so thankful for all of our Stooge superfans! As a token of our gratitude, check out this great clip from the short, “An Ache in Every Stake,” where Curly so meticulously shows how to best stuff a turkey. Jerome Lester Horwitz was born on October 22, 1903 in Brooklyn, NY. Known as Babe to his family and Curly to a worldwide legion of Three Stooges fans. He was the master of visual and verbal comedy. Curly’s excited yelps of “woob woob woob,” sly “Nyuk, Nyuk, Nyuks,” dog barks, compliant “Soitenlys,” and his quick face swipes are all timeless trademarks that are tightly woven into the fabric of popular culture. “Nyuk! Nyuk! 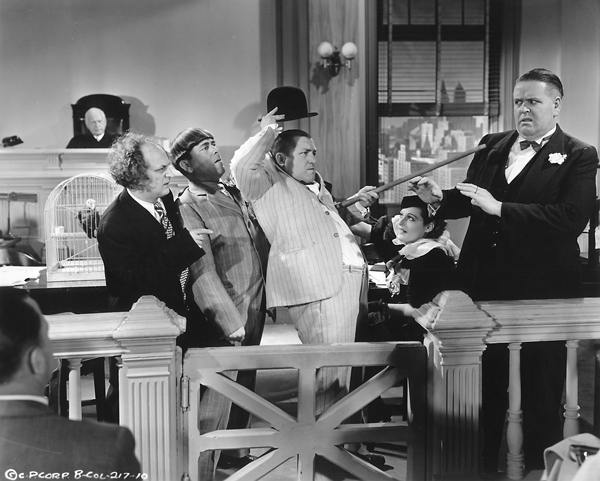 Nyuk!” was first heard in 1934’s Men In Black, along with his famous “Hhhmmm!” In The Three Stooges first Columbia short Woman Haters, Curly gave us the “Woob! Woob! Woob!” He added the snarling “Rrrufff!” to the repertoire in 1937’s Dizzy Doctors. Among other verbal gems is “Nyagghhh!” usually used when The Boys were confronted by the bad guys, the monster or whomever or whatever was chasing them. Of course, there was much more to Curly than his wonderful phrases. The finger wave and the hand wave, especially in front of Moe’s face, was a staple of his visual craft. The finger snap followed by the famous cheek finger roll was probably the most memorable of his hand moves and probably the most imitated by fans. His faces and expressions were remarkable and in 1935’s Pardon My Scotch; he even showed us the first example of the Curly Shuffle. His footwork was incredibly balanced as any of his 360-degree tiptoe pivot turns illustrate. Take Off Your Hat. Raise Your Right Hand. “Oh! Oh! Oh! Look!” Not only another great Curly phrase but used quite often as Curly’s head does damage to assorted saws, axes, picks, pipes, tools, mallets, hammers, crowbars and all the other implements that Moe and Larry used to bonk, bounce and bend off Curly’s head. The scenes on the golf course from 1935’s Three Little Beers are very clever, artistic and spatial arrangements that allow The Boys to ‘Spread Out’ from each other and do individual pieces of business. Curly’s scene with the ball washer that he uses to do his laundry is not only funny but also introduces us to Curly singing “La Dee and La Dah” to himself. The busy work song became a verbal staple that he added to his expressions and movements in many more films. Curly’s ability to blend his facial expression and movements in bit after bit after bit served to showcase his talent and comedic genius. There are so many scenes that can be used to illustrate the point, here’s a handful of iconic Curly moments. Of course Curly could make any costume work, whether it was a baggy suit, a civil war uniform, a kilt, a tuxedo, a safari jacket or a nightshirt. He could even make wonderful and funny moves when his shoes were cement, watermelons or even guitars! Whether making a pass at a pretty girl, spritzing seltzer, taking a fall, getting a bonk, slap or whap, spilling the ink or tossing the cream pies, Curly was simply one of the best comedians ever to grace the silver screen. That was his nickname. He was the youngest of the five Howard brothers. He was born Jerome Lester Horwitz on October 22, 1903, in Bath Beach in Brooklyn. Curly married four times; his first marriage was annulled and his second and third ended in divorce. His second wife, Elaine, bore him his first child, daughter Marilyn. Curly married Valerie Newman in 1947 and gave him his second daughter, Janie. Curly passed away on January 18, 1952, at age 48. Curly made 97 shorts at Columbia with Larry and Moe, the last being Half-Wits Holiday, which was made in 1946 and released in 1947. Curly had a serious stroke while making the short (May 1946). How fitting that in this last short Curly is the instigator of one of the Stooges’ all-time pie fights. 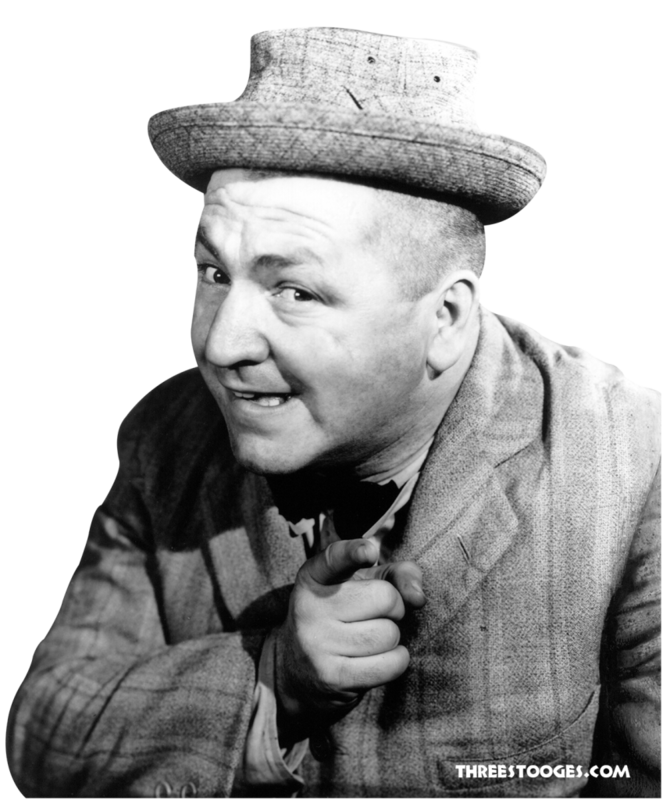 Curly did make a cameo appearance in 1947’s Hold That Lion, The Three Stooges 100th Columbia short. That was the only time Larry, Moe, Shemp and Curly appeared on screen together. Larry, Moe & Curly look anything but worried because they don’t have triskaidekaphobia, which is a fear of the number 13. By the by, today is the 13th. Coincidentally, if you add the letters from their first names, you have 13 letters. 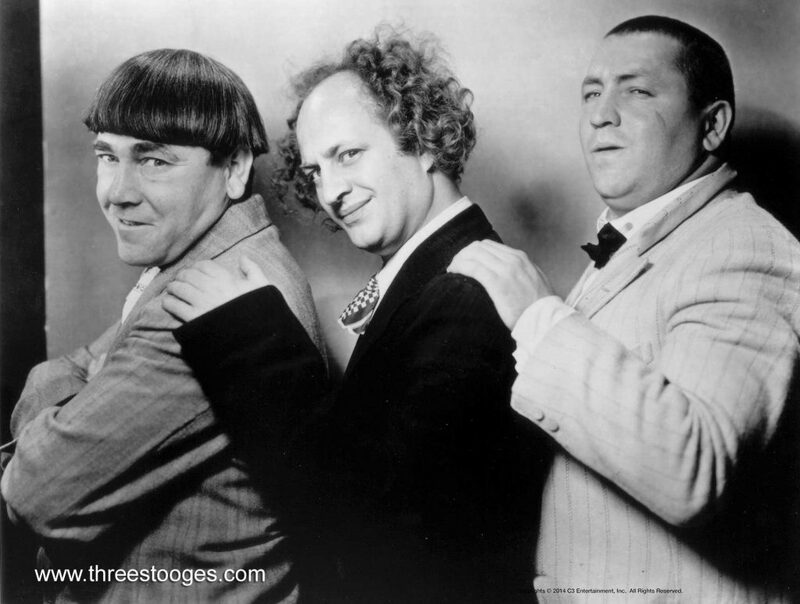 It is Friday the 13th, but The Three Stooges never suffered from triskaidekaphobia or paraskevidekatriaphobia. They are not afraid of the number 13 nor have any fear of Friday the 13th. After all, they vanquished ghosts, monsters, a cyclops and other assorted devilish and scary characters. 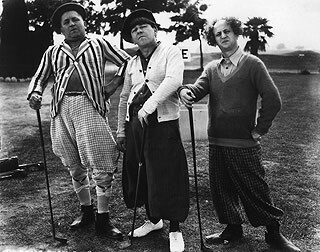 The Three Stooges made movies, some feature length, and some shorts. Regardless of length, they are movies. They also are the absolute masters of slapstick and the masters of mirth, merriment, and mayhem. Why you could almost describe them as maniacal. So we find this to be another bit of coincidence: The 13th of their Columbia shorts was entitled Movie Maniacs! The Boys run a studio in this short and is their only ‘back lot’ short that actually takes place in Hollywood. All other ‘movie making’ shorts take place in faraway locations. The irony and real fun of this short is that the Stooges, although in control, actually ruin the movie being made and the whole studio by being…Stooges. This is another instance that demonstrates the remarkable comedic abilities of The Three Stooges. 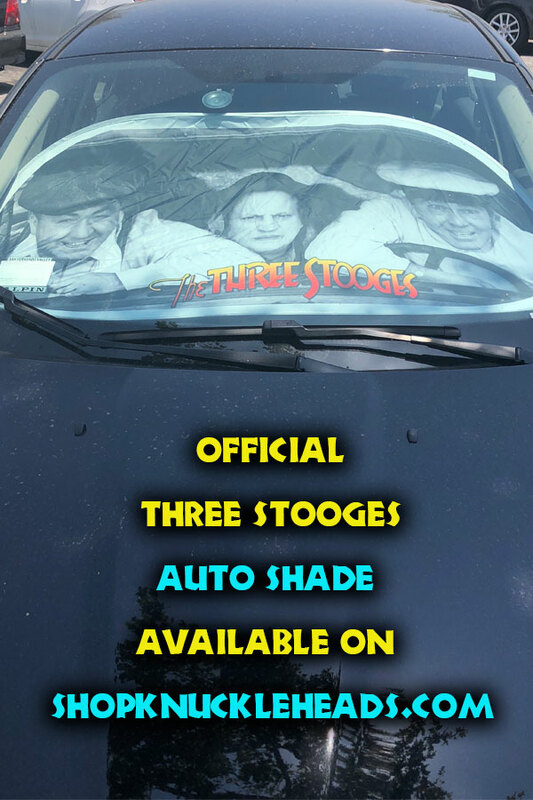 So if you have any trepidation about Friday the 13th, what better way to relax than watching The Three Stooges do what they do best: Make you laugh! Although they look like something The Boys would have concocted, triskaidekaphobia and paraskevidekatriaphobia are real words. We figured out how to spell them. You can tackle how to pronounce them! Nyuk! Nyuk! Nyuk! Punch Drunks was released on Friday the 13th in 1934. • President Calvin Coolidge (1872). The 29th President served from 1923-29. • Movie mogul Louis B. Mayer (1885). Merged with Metro and Goldwyn to form MGM. • Columnist twins Abigail Van Buren (Dear Abby) and Ann Landers (1918). • City of Providence, Rhode Island forms in 1636. • The United States Military Academy officially opens at West Point, New York in 1802. • Construction on the Erie Canal begins in 1817. • 1st edition of Lewis Carroll’s “Alice in Wonderland” in 1865. • Statue of Liberty presented to the United States in Paris in 1884. • Independence National Historical Park established in Philadelphia in 1956. • America’s new 49-star flag honoring Alaska statehood unfurled in 1959. • America’s new 50-star flag honoring Hawaii statehood unfurled in 1960. • Three Loan Wolves with Larry, Moe and Curly released in 1946. 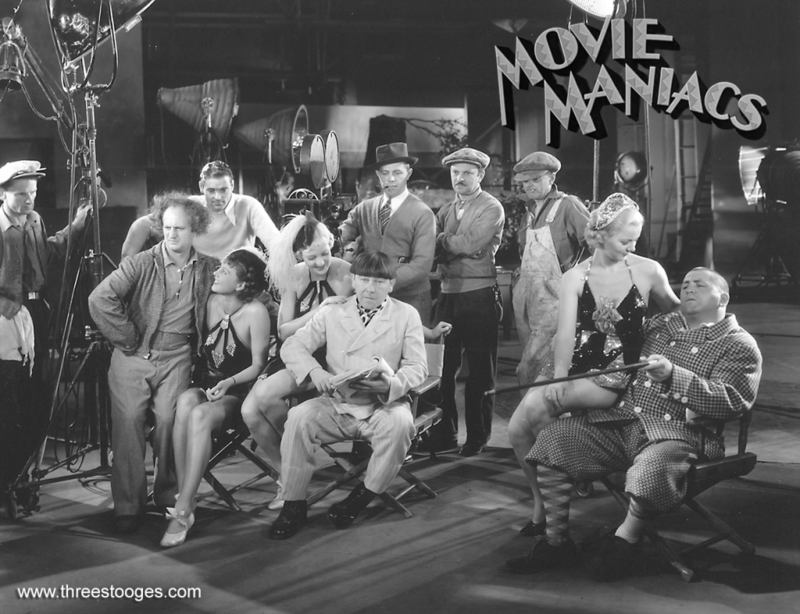 This was supporting player Harold Brauer’s first appearance with The Boys and he, along with Emil Sitka, was the only supporting cast member to work with all four iterations of The Three Stooges. • Gents In A Jam with Larry, Moe and Shemp released in 1952. 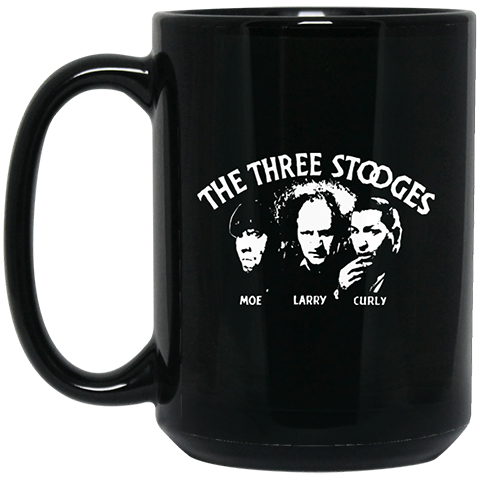 This was the last Stooges short for producer Hugh McCollum and writer/director Edward Bernds. • Bernds would come back to direct Larry, Moe and Curly Joe in the 1962 feature film The Three Stooges Meet Hercules and The Three Stooges In Orbit, released July 4, 1962. 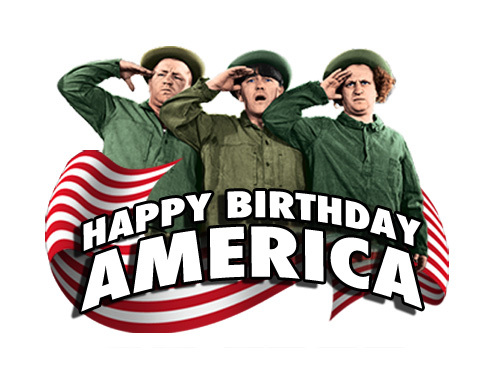 We hope you all celebrate our nation’s birthday with family & friends to enjoy the fireworks and festivities that will take place in every city and town across the country!